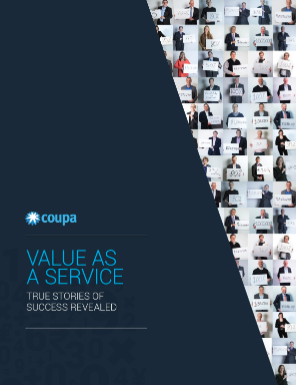 Discover how Coupa can help your business transform by delivering real, measurable value every day. In today’s rapidly changing business world, you have to adapt or risk being left behind. But the only changes that really matter are those that deliver tangible business value. That’s where Coupa shines. From increasing visibility and agility to built-in compliance and control, Coupa makes a measurable difference to your bottom line. We call it Value as a Service. Fill out the form to check out this interactive e-book today.